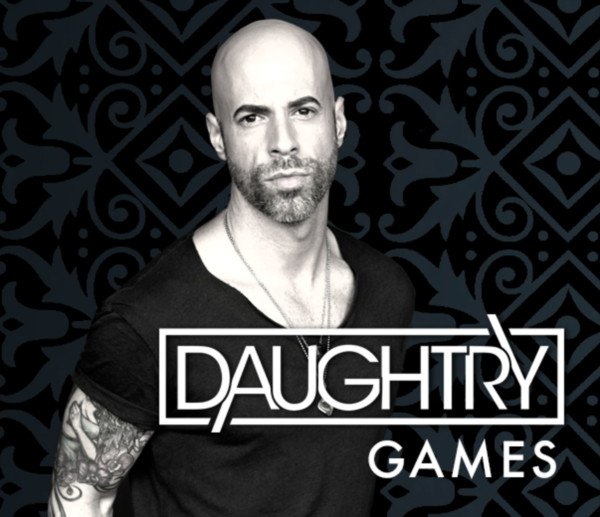 Daughtry Fan Club members can find a promo code for a 1 year subscription to Daughtry Games in their Dashboard starting today. To use your code: Go to the Daughtry Games Website. Navigate to the SIGN UP box + enter the code in the PROMO CODE field. If you're a current fan club member and already have a Daughtry Games account, please click here to send an email to verify your membership. Once verified your membership will be extended. Hi there. My name is Jill & my husband and I have been fans from day 1. We saw you in Tempe, Arizona right after American Idol & it was at a bar which only held 700 people. It was outstanding. We then saw you at Summer Fest in Milwaukee when we were visiting my home town. So we've seen you 4x. We were supposed to see you at Talking Stick in Scottsdale, Arizona but I ended up having spine surgery since the date was moved because of flooding. I just couldn't make it & I'm so sad we couldn't make it. I wish you were coming back again. Chris and the band: just spent a wonderful moment with you tonight at Eventim Apollo in LONDON! Hope to see you soon in FRANCE!! Congratulation, it was just incredible ! Chris Daughtry and the band were AWESOME in Bend Oregon!!! We were so thrilled to see Daughtry here. This NEW ALBUM "Cage to Rattle" is the "NEW, GOOD ONE!" We look forward to the next live concert in Bend. Praying for you always. Be proud of where you come from, even if it includes American Idol! That is where we fell in love with you from day 1. We've been rockin' with you ever since. Anyone still having an issue with the promo code? I see the promo code on my dashboard today. It’s under the stream code and presale passwords. Could have been just a delay if you didn’t see it Friday, look again. I have a daightrygames current subscription. Thanks for the offer to extend it. I was able to use the email link here from my phone. Email sent!! Thank you!! I don’t have a promo in my dashboard. Could someone please help? Thank you. I do not have a promo code in my dashboard.